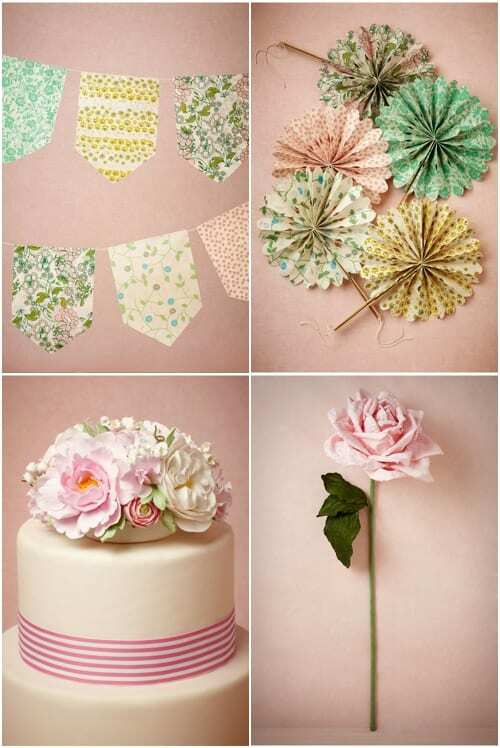 It’s Wedding Wednesday today and I thought I’d feature a selection of floral-inspired wedding accessories from the Decor section on BHLDN‘s website. 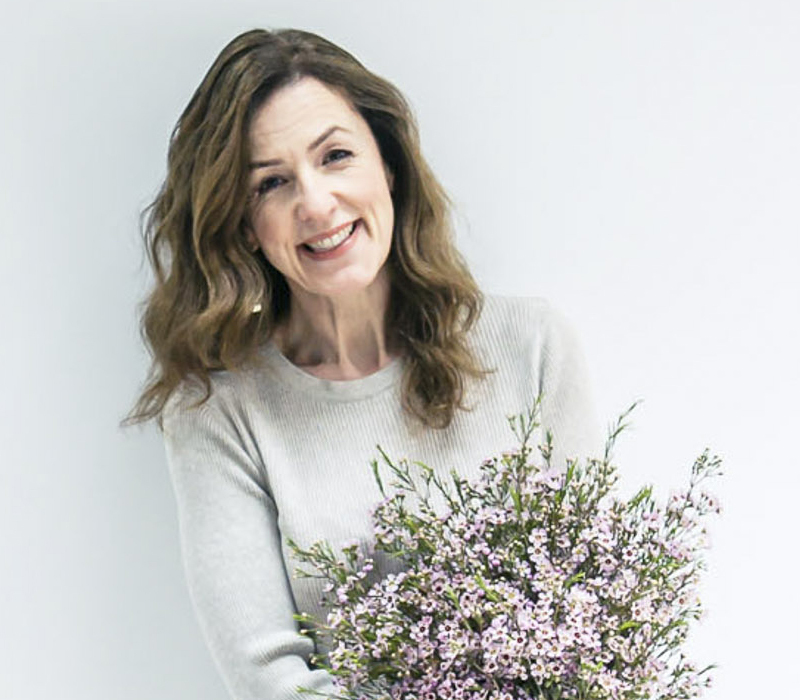 If you’re not familiar with BHLDN, they’re an American company who sell wedding dresses, bridesmaid dresses, veils, accessories, shoes, jewellery and gifts. 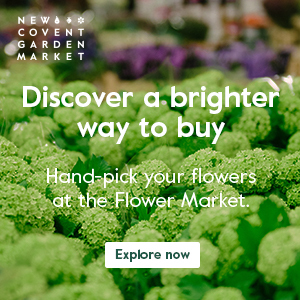 They have a great range of containers for flowers. I love the ones on the right below called Bubble Vase Placeholders. 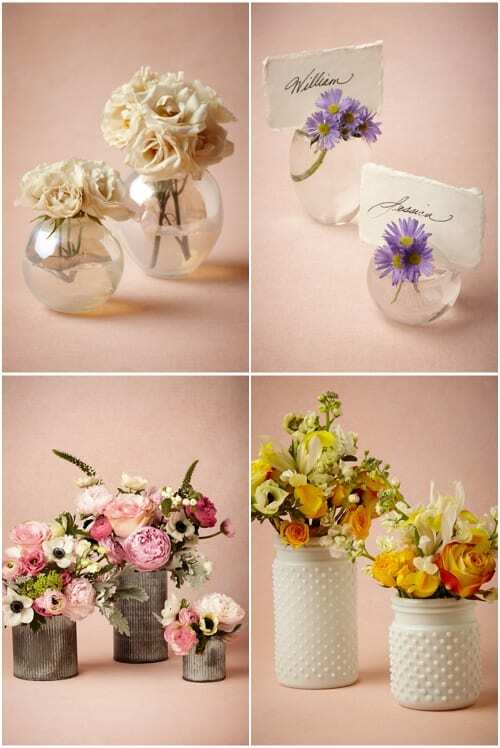 They come in two sizes and not only hold blooms, but also placecards. 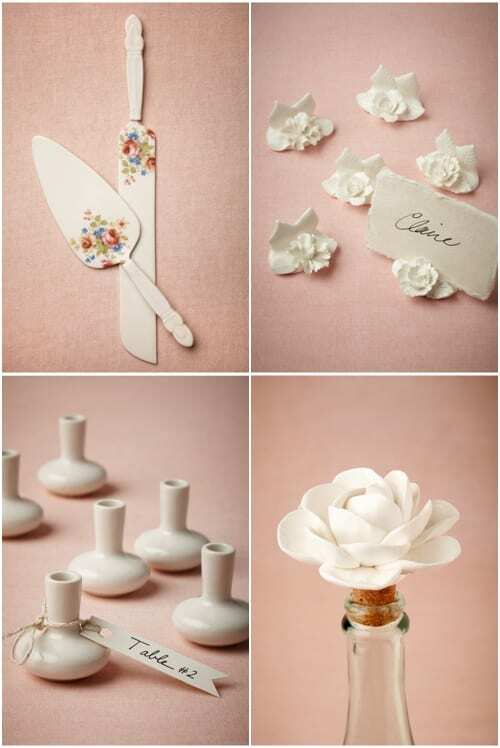 These Wildbloom Place Card Holders on the right below, with their vintage-inspired petals hand-carved into thin china, are beautiful too. As is the Cape Jasmine Bottle Stopper. It can either be used on an unfinished bottle or could be displayed en masse on top of assorted vintage bottles. 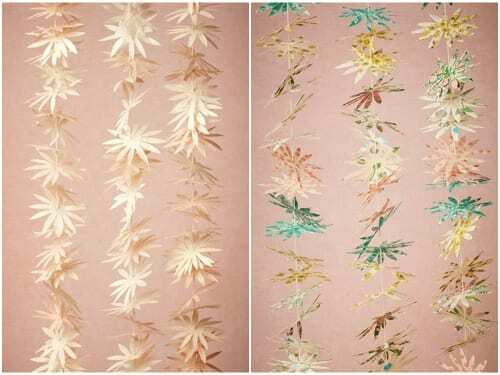 Perfect for decorating your venue are these floral garlands, either as a ceremony backdrop, over a table of desserts, pinned up as streamers or clustered together to make a canopy. Another type of garland are these Floral Pennant Garlands on the left below. 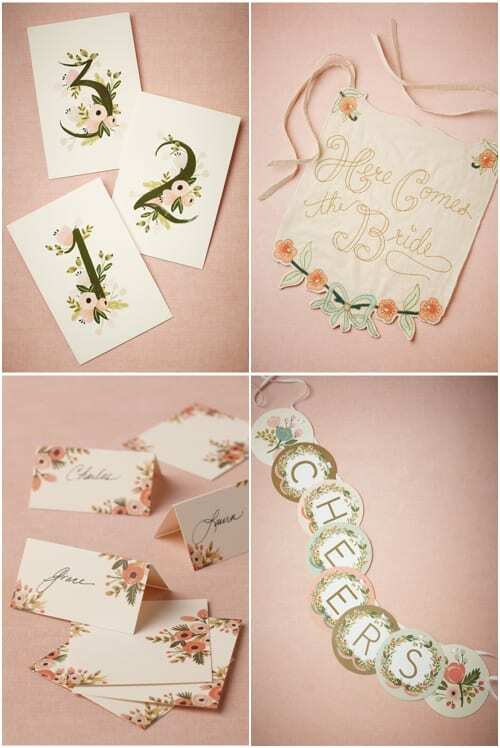 With botanical illustrations are these table numbers, ‘Here comes the Bride’ banner, place cards and monogram garland. And using the garland, you could make your own message with the selection of letters provided. So, I hope today’s blog post has inspired you if you’re getting married soon, or you’re helping a relative or friend plan their big day. If you’d like to keep up-to-date with news from BHLDN, they’re on Twitter and Facebook. Plus they’re also on Pinterest.